Yvonne got into racewalking to get a good workout but was not at all interested in racing. After some arm-twising, Yvonne started racing, first in her hometown of Denver, and more recently at National competitons. 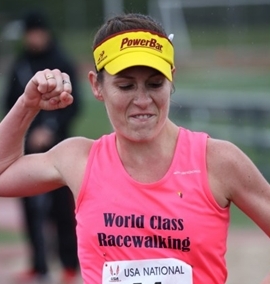 She recently placed 2nd at the 2008 USATF 30k Championship and 3rd at the USATF 40k Championship. Yvonne likes racing now! 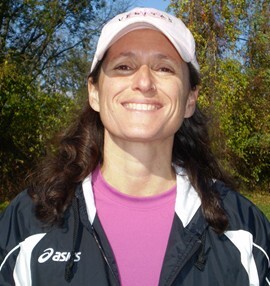 Less than one week after qualifying for the 2008 Olympic Trials in the 20k racewalk, Loretta won the USATF National 1-Mile Racewalk Championship at the Millrose Games in New York City. Her time of 6:52.12 was a personal best. She placed 10th at the 2008 Olympic Trials 20k. 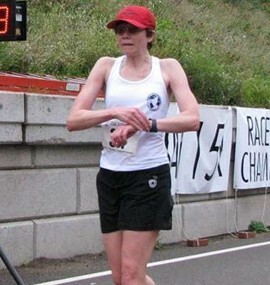 Karen, the definition of persistence, followed up her 2nd-place finish in the 2007 USA 50k Championship with her first-ever DNF at the 2008 Masters 50k Championship. 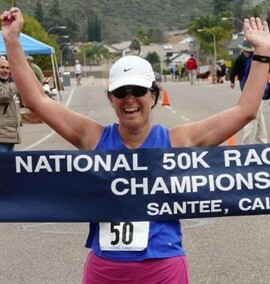 Undeterred, Karen stormed back to win the 2009 50k Nationals in Santee, CA, sharing the podium with men's winner and 3-time Olympian Philip Dunn. A half-marathon/20k specialist, Ward Cove, Alaska resident Elizabeth Richardson has a 20k PR of 2:38:05. Her current goal is to complete every "Rock & Roll" Half-Marathon in the US in 2009. 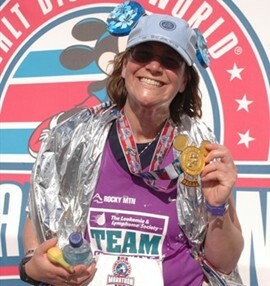 Not averse to racing in a gorilla costume, Lis recently completed the Disney World "Goofy Challenge" by walking the Disney Half-Marathon followed by the Disney full the following day. Lis has managed to race personal-bests in just about every race she's done in the past two years. Her next goal is a sub-2:40 half-marathon. Click here to keep up with Lis's exploits! 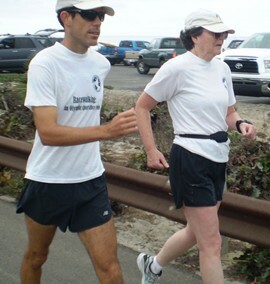 Only learning to racewalk in February, 2007, Carol placed 5th in the 2007 USATF 40k Championship. With personal bests of 27:28 and 57:02, German native Christoph Schmid is now one of the top masters walkers in the US. 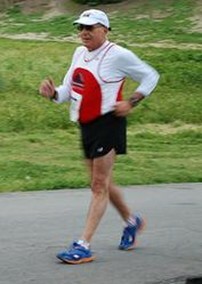 Chris was recently Overall Champion in the RRCA 20k Racewalk Championship in Coconut Creek, FL. 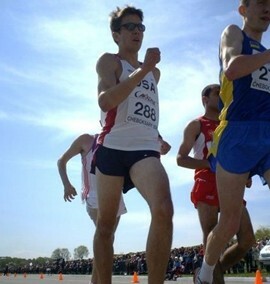 Mike placed 10th at the USA Olympic 20k Trials and was a member of the World Cup team that competed in Cheboksary, Russia in May 2008. Walking on both hip and knee replacements, Cliff recently won his age group (75-79)--with no red cards!--at the USATF Masters National 20k in Huntington Beach, CA. 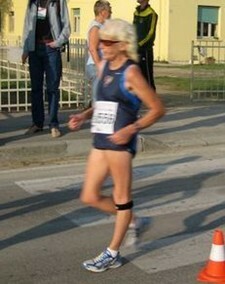 Darla, who has brought her 5k Personal Best down over 10 minutes this year, won the overall masters division of the 2009 National 15k in 1:35:07. 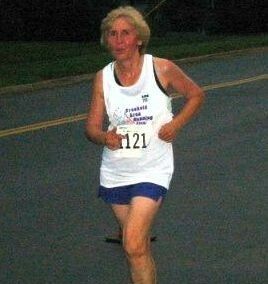 Donna recently placed 1st in her 55-59 age-group at the Huntsman Senior Games in the 1,500m, 3,000m and 5k racewalks (overall champion in the 5k!) and was 2nd overall out of 1586 women at the New Albany 10K Walking Classic. 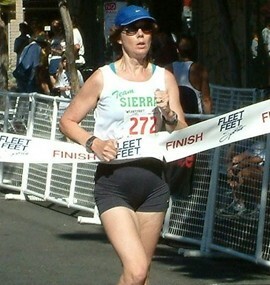 Nicolle, from Sacramento, CA walked 4:47:01 and was the first female racewalker in the 2007 Boston Marathon. 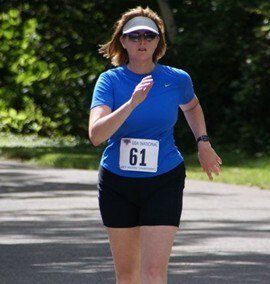 Jeannie, from Calgary, AB Canada, is making the transition from marathon running and triathloning to racewalking. She is fast becomming one of the top racewalkers in Canada. 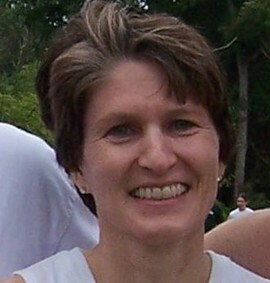 Carolyn qualified for the 2004 Olympic Track and Field Trials just over a year after learning to racewalk. 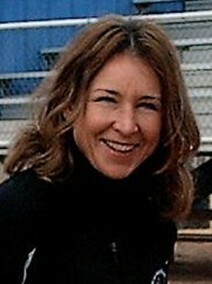 The 45-year-old mother of two also qualified for and placed 9th in the 2008 Trials. 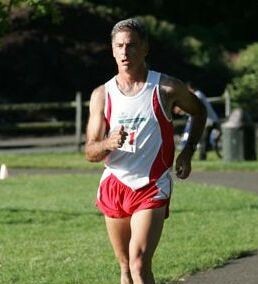 Panse placed 3rd in the 5,000m and 10k racewalks at the 2007 WAVA World Championships in Riccione, Italy. 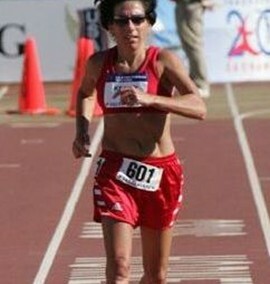 In her first judged racewalk Dorothy placed 7th in the US Pan Am Cup team trials, coming within one minute of qualifying for the 2008 Olympic Track and Field Trials. 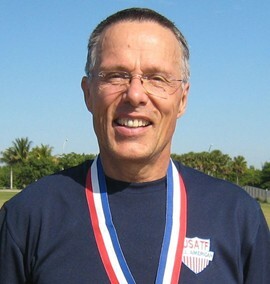 Ray, 48, a member of the US 2006 and 2008 World Cup and 2007 Pan Am Cup 50k teams, won the 2006, 2007 and 2008 USATF 40k and placed 5th at the 2008 50k Olympic Trials.